Did you know that in a single day, we are now apparently looking at our phone up to 150 times, that we are bombarded by information equivalent to that contained in 174 newspapers and that the average person spends 8 hours and 41 minutes on electronic devices? The technological information age is in over drive and we need to develop Drishti now more than ever. My friend tells me about her teenage daughter who was going to sleep with her phone ‘clutched’ in her hand and waking up several times a night to check messages or was woken up by her friends sending her snapchat messages. They’re managing it now as a family, with rules around phone use but my friend tells me that her daughter reminds her of herself when she was trying to give up cigarettes – she says she notices her reaching for her phone in her back pocket but trying to stop herself, just like she did with her cigarettes, fighting the urge to have one, fighting the urge to check her phone. My friend sighs heavily and says “how did we get so addicted?” Developing Drishti will help. The business leader sitting in front of me is complaining about the culture of distraction in her organisation. Some mornings, she doesn’t even make it up the stairs to her desk because people are waiting for her to ask for a ‘moment’ of her time. She finds it virtually impossible to do any concentrated work during the day because people come to her desk so often that she can’t find that uninterrupted space. Then she realises that she can manage and take control of this herself, specifically in her own department by setting expectations around communication and enabling herself and her team to respect each other’s time when working on key projects. She’s also going to talk with her colleagues about it at the next senior management from a cultural point of view and look to bring awareness to how they all continually interrupt and distract one another. She’s found opportunities for Drishti. My eight year old son sits at the table to do his homework. He takes a few calming deep breaths and chooses what he wants to do first. Drishti. He begins his maths homework. He finishes his maths homework. Drishti. He gets up to go to the bathroom, then on the way back hears his brother laughing in the next room and goes to investigate. The Drishti on homework is broken. I call him to remind him to return to his homework. He comes back into the room. He starts his spellings. Drishti. Then he remembers a funny story about something that happened at school and starts to tell me. The Drishti on spellings is broken but I have Drishti as I listen intently to him because I love his stories. We laugh together and then I remind him to return his attention to his spellings. He finishes his spellings. Drishti. And on and on it goes. He’s constantly developing his Drishti. I am running around the house trying to get everyone ready and out the door for school. I am racing and shouting out all the things we have to do if we are going to be on time. The wise voice of my eight year old son stops me in my tracks “One thing at a time Mum, you can only do one thing at a time”. He is now helping ME to develop Drishti! Our recent Olympic rowing silver medalists, Gary and Paul O’ Donovan enthralled and captivated us with their now world-famous Drishti on their secret to medal success with their mantra of just “close your eyes and pull like a dog”. 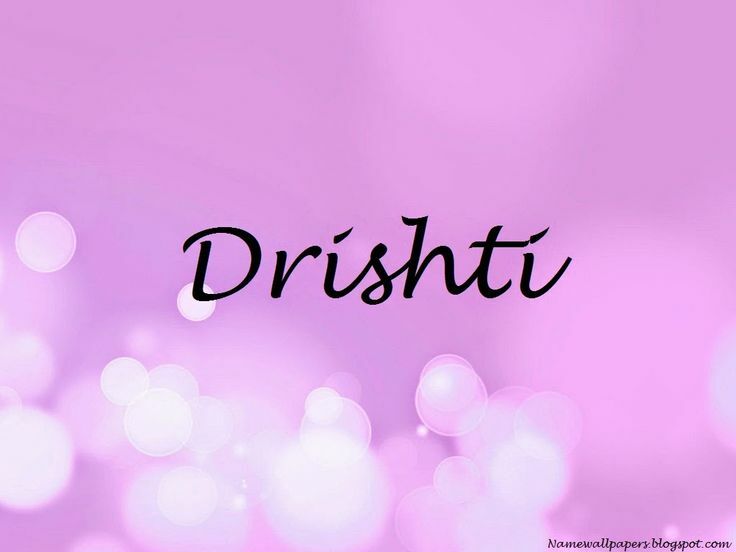 By now, I’m sure you’ve guessed what Drishti is. It’s Focus. Isn’t it a nice, soft word to say? Drishti. It even sounds like a word that Gary and Paul O’ Donovan would say, with their west Cork accents. I love the sound of the word and its origins too. It’s an old Sanskrit word used in Yoga, to help a student train their mind on a specific focal point, like the breath or energy centre (aka chakra in yoga, e.g. the heart) in either the physical posture or during meditation. The theory is that focusing your attention in this way, helps you to cultivate a deeper level of concentration. The practice is that it does really help you focus your mind on what you are doing. It also draws your attention inwards to how you are feeling, to the body’s sensations in each pose and helps you not to simply just go through the motions or be on autopilot. The ancient yogis discovered that focusing on a Drishti helped to eliminate distractions and developed concentration. All still valid and needed even more now in today’s modern world, so full of distractions and interruptions. Our focus is one of the most valuable internal resources that we have and it is becoming ever more important to build our capacity to pay attention in this world that is over stimulating, distracting, noisy and addictive. I believe that developing Drishti is a key component if we want increased efficiency and productivity but also if we want to create lives that flow, where we aren’t so splintered, diverted and split but where we can feel better, more whole and where things run more smoothly and with greater ease because of our disciplined focus on our attention. Drishti is paying attention to your attention – a crucial internal skill and faculty to develop no matter what age you are. I believe that Drishti isn’t just about focusing on a task or what you are doing, although that type of focus will certainly help you to prioritise, get things done and achieve your goals. But there is also a need to have Drishti about how you want to get there. So, here are some ways to practice developing your Drishti. Consciously choose what task it is that you are doing and commit to doing it. For example, prioritise your task. Say what it is that you are going to do and write it down. This is your focal point or your Drishti and then commit to completing it. As you move through the task, notice when your focus drifts from it (maybe fighting the urge to check emails or your phone) and simply return to it, again and again and again. Each time you return your focus to what you are doing, you are developing your capacity to pay attention. Well done! Consciously choose how you want to be and behave like that. For example, with your children, consciously choose that you are going to focus on being patient eventhough you might be tired and focus your behaviour in that way while with them. Enjoy being able to choose to focus your Drishti on patience rather than reacting or being impatient with them. Well done! You are developing your capacity to choose your response by knowing how you want to behave. Are you a glass half full, glass half empty, no glass at all or glass overflowing kind of person? You can develop your Drishti to focus on seeing the good and the positive more and more often. As a single parent, fulltime working friend of mine, who I greatly love and admire says, “there is a gift in this” and she turns her focus time and time again, especially in the most challenging situations, to finding the gift. What a great attitude to have. Neuroscience now tells us that the more often we focus on a positive experience that our brain will begin to re-wire itself to start scanning out into your world to notice the positives and show you more and more of them. Pretty cool huh? That you can re-wire and train your brain to show your more and more positive experiences by consciously choosing to find the good in your day. It reminds me of that saying “Every day may not be good, but there is something good in every day”. Make that your Drishti and find as many good experiences as possible throughout your day. This is a really powerful Drishti to develop and to be honest impacts absolutely everything you do and create. You can be focused in your physical body on an action or a task and that’s really good but it is also important to remember the vibrational component that is part of doing or creating anything. Just think of someone who you love being around and who uplifts you and someone who you don’t like being around and who drains you. That’s their vibration and it can and does impact you. Have you ever thought about or focused deliberately on yours? For example, I was working with a client recently who had been promoted into a Director role from inside the organisation. She said she felt like “an imposter” at the senior management meetings and vibrationally she shrank herself down as a result. “Who am I to be here?”, she asked herself and because she felt like an imposter, (who felt she shouldn’t be there), she acted like someone who shouldn’t be there. She said that she continually stopped herself contributing during meetings and then left feeling even smaller. So we focused on how she wanted to show up, energetically and vibrationally and here’s what she said. She told me that she wanted to allow herself to be at the table, to be fully present and to have presence at the meetings. We did a few things to achieve this. One of them was to get her to focus on her physical posture and breathe deeply into her body, into her feet to actually ground herself in the chair when at the meetings, and to sit up in a posture of power and strength. She physically sat right up to the table to allow herself to focus on actually being “at the table” and we also worked on her vibration or energy. So her Drishti was to focus on her solar plexus (3rd Chakra in yoga, which interestingly enough is about identity and confidence) and where she said she felt most of the feelings of tension and nerves that caused her to shrink herself down. So, I asked her to focus on a light or a sense of energy in that area instead and as she focused inwards into her body and into her energy, she felt a flicker and I guided her to breathe into it and expand it with every breath and guess what, her energy expanded, because that’s what energy does, whether you are focusing on positive or negative energy. Both will respond because they are responding to your Drishti on them. At the next meeting, live in the moments of feeling like shrinking or feeling small, she focused on tuning herself instead into the part of herself that was vibrationally present and powerful (because your best and highest potential IS always present) and she practised speaking from that place, right up at the table. She’s still working on it, because we have to work on our vibration and energy daily, but feedback from the senior team has been that she has intervened at pivotal times during the meeting and they welcome and value her opinion and fresh perspective. The best part is though that she feels good and she should because she is tapping into the best within herself and expressing from that expanded part. So in summary what is the practice here? Like me, choose your Drishti and practice it as often as you can, whether it is about what you are doing, how you are behaving, the attitude you wish to exemplify or the energy you want to feel and ripple out. And remember with Drishti comes momentum and with momentum comes results. And the best part is that as you do this you will build the capacity within yourself to put your attention WHERE you want to WHEN you want to and that is the ultimate way to live, work and be in today’s modern world.